Organized by SFMOMA Assistant Curator of Photography Jessica S. McDonald, the selection of more than 150 works draws from SFMOMA's world-class photography holdings and highlights recent major gifts and loans from collectors Daniel Greenberg and Susan Steinhauser. The presentation reflects the collections' particular strengths, featuring photographs made in Mexico by Tina Modotti, Paul Strand, and Edward Weston, along with works by key Mexican photographers including Lola Alvarez Bravo, Manuel Alvarez Bravo, Manuel Carrillo, Héctor Garcia, Lourdes Grobet, Graciela Iturbide, Enrique Metinides, Pedro Meyer, Pablo Ortiz Monasterio, and Mariana Yampolsky. Rather than attempting to define a national style, the exhibition considers the range of approaches and concerns that photographers in Mexico have pursued over time. As McDonald notes, "There is no one 'Mexican photography,' but one strand that runs throughout is a synthesis of aesthetics and politics. We see that with Manuel Alvarez Bravo, and we still see it in work made decades later." As arts and culture flourished in Mexico after the Revolution, many European and American artists were drawn to the country. 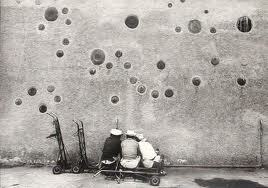 Among them were Edward Weston and Tina Modotti, who arrived in Mexico in 1923. Inspired by what they saw there, Weston and Modotti in turn motivated Mexican photographers to pursue the medium's artistic possibilities; their influence helped "give Mexican photographers confidence that art photography was a viable path," says McDonald. Hence, the exhibition opens with a selection of works made in Mexico by Modotti, Weston, his son Brett Weston, and Paul Strand during the 1920s and 1930s. One of the Mexican photographers encouraged by Modotti and Weston was Manuel Alvarez Bravo, who went on to become one of the most influential photographers and teachers in the country's history as well as a key figure in the broader international history of the medium. The exhibition features a substantial number of major works by the photographer, many of them donated or loaned to SFMOMA by Daniel Greenberg and Susan Steinhauser. In considering Alvarez Bravo's career, the exhibition illuminates the birth and development of a tradition of art photography in Mexico. The presentation also includes a selection of works by Alvarez Bravo's first wife, Lola Alvarez Bravo, an important photographer in her own right who established a successful commercial and artistic practice. 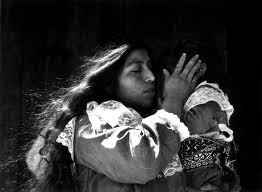 In mid-20th-century Mexico, as in the United States and Europe, earning an adequate income as an art photographer was an unlikely proposition. Instead, many photographers made a living through photojournalism, contributing to the numerous illustrated publications in circulation during this period. In the decades following the Revolution, there was great interest in traditional ways of life and in defining what it meant to be Mexican. Some photographers, such as Manuel Carrillo, created images documenting the nation's traditions and celebrating its common people. Others, like Hector Garcia and Rodrigo Moya, rejected this sentimental approach, focusing instead on contemporary concerns and the political and social turbulence that continued to influence post-revolutionary Mexican life. The exhibition closes with contemporary international photographers' perspectives on U.S.-Mexico border issues. Images by Mark Klett, Victoria Sambunaris, and Alec Soth consider the border as landscape, while works by Elsa Medina, Susan Meiselas, and Paolo Pellegrin document the experiences of migrant workers and people trying, successfully or unsuccessfully, to cross into the United States. 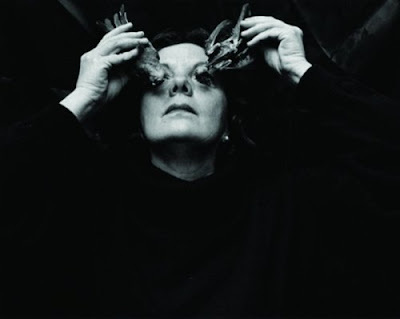 Katya Brailovsky, Lola Alvarez Bravo, Manuel Alvarez Bravo, Manuel Carrillo, Alejandro Cartagena, Eduardo del Valle and Mirta Gomez, Pia Elizondo, Dave Gatley, Oscar Fernandez Gomez, Héctor Garcia, Lourdes Grobet, Graciela Iturbide, Geoffrey James, Mark Klett, Pablo Lopez Luz, Elsa Medina, Susan Meiselas, Enrique Metinides, Pedro Meyer, Tina Modotti, Rodrigo Moya, Pablo Ortiz Monasterio, Paolo Pellegrin, Antonio Reynoso, Daniela Rossell, Mark Ruwedel, Victoria Sambunaris, Alec Soth, Paul Strand, Yvonne Venegas, Brett Weston, Edward Weston, and Mariana Yampolsky.